PIG TODAY-EUR/USD – Above key Fibo, Will it break below 1.10? It appears the Euro-Dollar pair may snap its three-day losing streak as the currency pair as the currency has reached key fibo of 1.1019 (76.4% of 1.0911-1.1366). However, the question is whether the spot would breach 1.10 handle. The answer to the question whether the pair would hold above 1.10 handle lies in the US-German bond yield spread. Treasury yields are on the rise, given the market sees a high probability of Fed raising rates in December. However, ECB QE Taper talk quickly fizzled out, thus leaving room for German bund yields to revisit its recent lows. Strengthening of US-German yield spread could result in a break below 1.10 levels. Later in the day, we have German final CPI reading which may go unnoticed unless there is significant upward/downward revision. Meanwhile, US initial jobless claims and Fed speak are more likely to influence the pair. 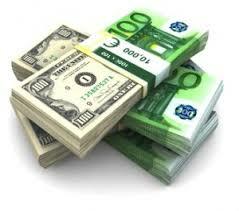 As of now, the currency pair is trading around 1.1030 levels after having clocked a high of 1.1036. Dismal China data appears to have strengthened the bid tone around funding currencies – EUR and JPY. The pair was last seen trading around 1.1015. Acceptance above 1.1046 (Aug 5 low) could yield a much stronger retracement of the three-day losing streak to 1.1085 (5-DMA), above which a major hurdle is noted directly at 1.11 handle. On the lower side, breach of 1.10 could result in a slide to 1.0952 (July 25 low) and 1.0911 (Brexit day low).